Seed Journey ticket is printed with hand-set type by Joe Riley, Amy Francesschini and Julie Marie Ables in the Art Department at the University of Wisconsin, Madison. A limited number of 200 tickets were printed. 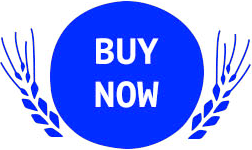 By purchasing this ticket you become a land based Seed Journey Delegate. Your name will appear on our website and publication. 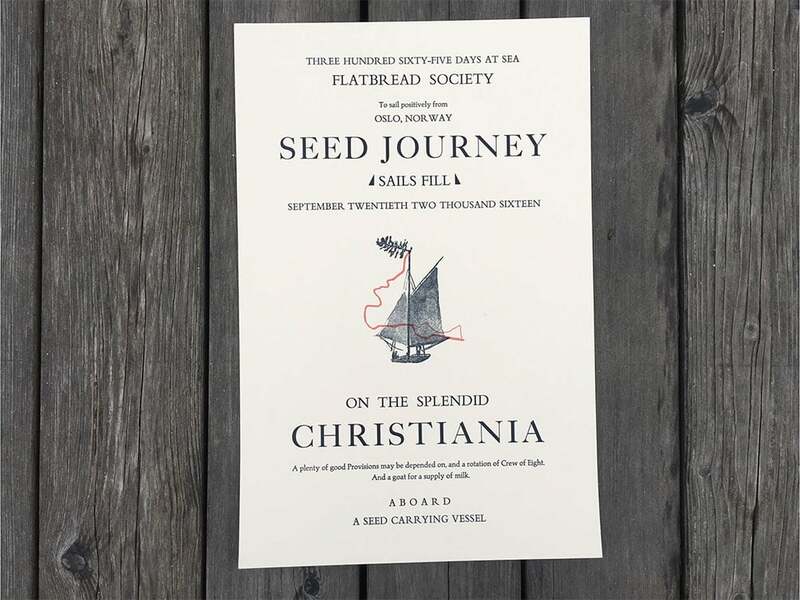 Seed Journey Broadside is printed with hand-set type by Joe Riley, Amy Franceschini and Julie Marie Ables in the Art Department at the University of Wisconsin, Madison. A limited number of signed and numbered prints were made. By purchasing this ticket you become a land based Seed Journey Delegate. Your name will appear on our website and publication. 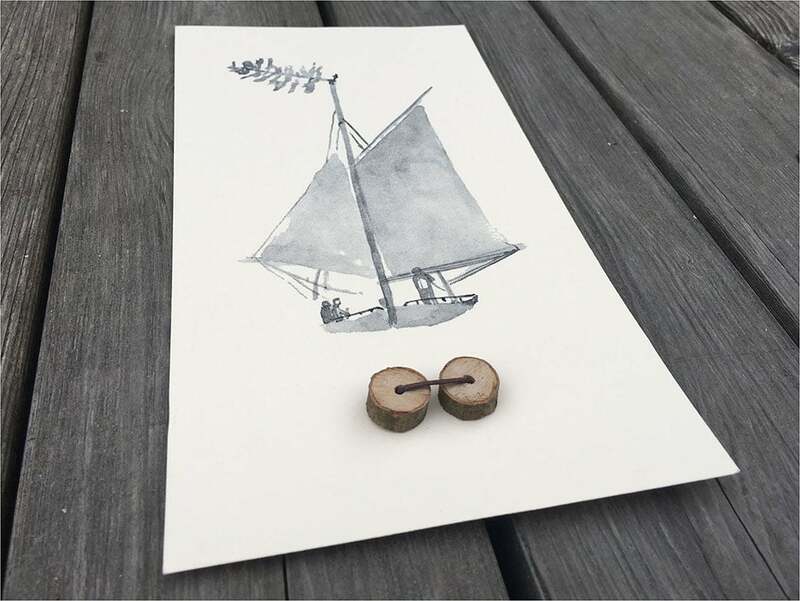 Sponsoring an Artist will allow one artist to realize a new work on board Seed Journey. This will include all research, sailing time, food, production and local transportation. See our Crew to choose a specific artist or you can donate to a general crew support fund that will be distributed among crew. 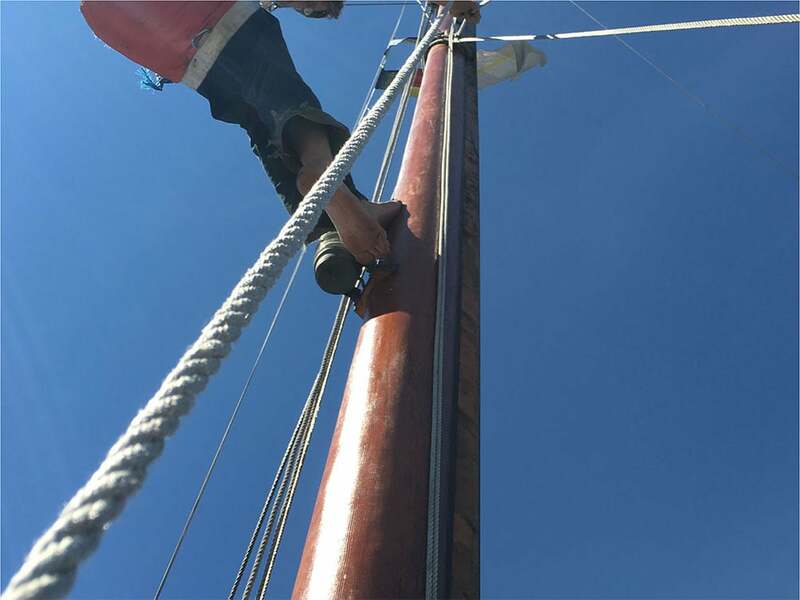 Sponsoring a full-time Sailor will allow one sailor to be on the boat for the entire duration of the journey. This will include their food, transportation and some savings for them to get back on their feet in their home towns after a year at sea. Seed Journey Port to Port Postcards are printed at each port visited during the journey. These will be woodblock, linolium prints made with site-specific inks; seaweed, flowers, bird poop, pollen, etc. Front: Each postcard will depict an interpretation of the places we visited. Back: Standard Seed Journey stamp with personal note to YOU from crew. 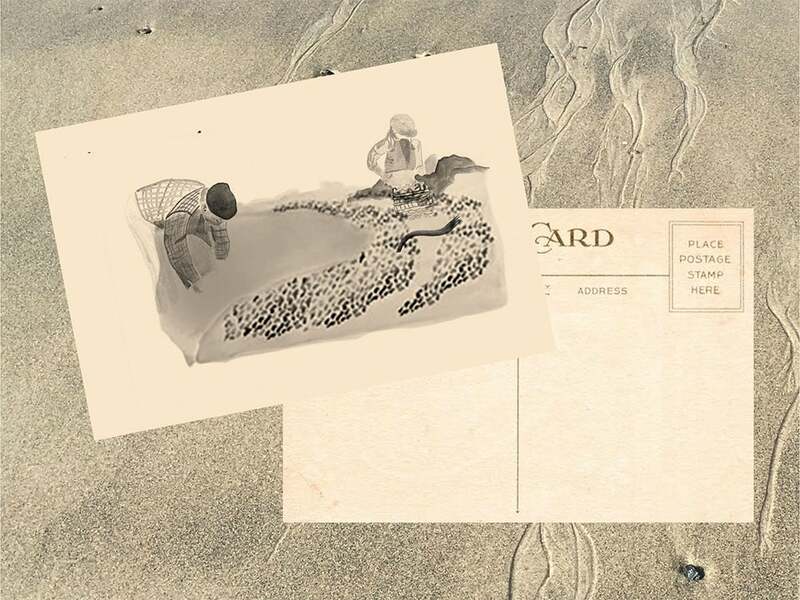 You will receive a postcard from each port. Once we arrive in Istanbul you will have up to ten cards in your possession. At the conclusion of our journey we will send you a handmade envelope to hold the entire set. Seed Journey is operating on the pure energy of excitement and love for sea, land and preservation of the commons. Much of the journey is alive due to in-kind donations, daring patrons and generous souls. We have raised $50,000 of the $150,000 we need to support this year-long endeavor. Seed Journey poster and ticket.